So far Iowa CCA Admin has created 43 blog entries. Gain additional insights on data use and collection at the Summer Workshop & Field Day on August 1. Experts will join us at Kirkwood Community College to share their experiences with data collection and usage, alternative forage crops, nitrogen management options, and building soil health. A full day of insights you can take to the field. You’ll earn 6 CEUs for this hands-on experience. Sessions run 55 minutes each. Register today, your farmer customers are counting on you! No refunds will be available after Wednesday, July 25, 2018, after 5:00 PM. 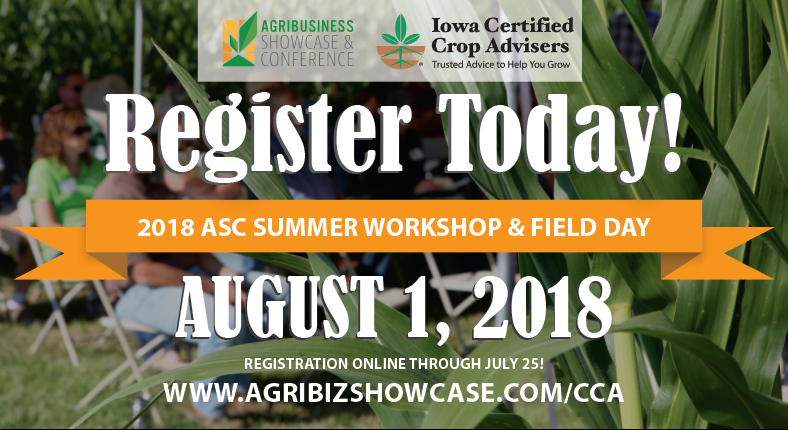 If you need to update or cancel your registration please email aai@agribiz.org by July 25. 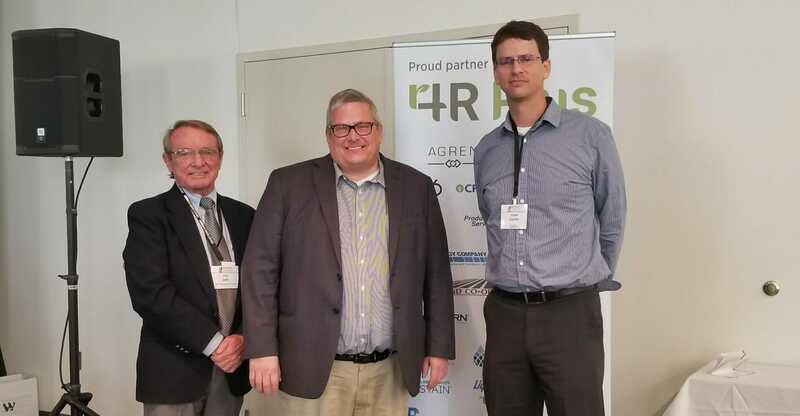 DES MOINES — Iowa Secretary of Agriculture Bill Northey announced two agribusinesses and two Certified Crop Advisers as recipients of the Secretary’s Iowa Ag Leader Award for outstanding leadership in improving Iowa’s water quality. Northey recognized Farmers Cooperative Society from Sioux Center, CF Industries and CCAs Jason Gomes owner of North Iowa Agronomy Partners in Waverly and Joe Lally from Denison. Copyright 2018 Iowa Certified Crop Advisors | All Rights Reserved | Site by Resource Marketing, Inc.